It won't matter if you are in Dodger Stadium or on the couch, your most valuable parts will be hitting a home run in luxury. Batter up. 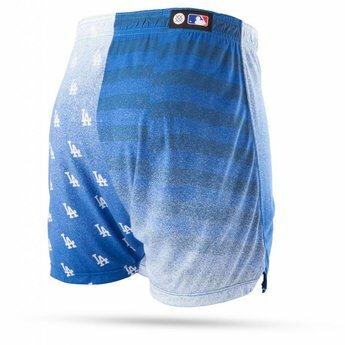 Los Angeles Dodger fans are about to get wildly comfortable in our new Fade Dodgers boxer. 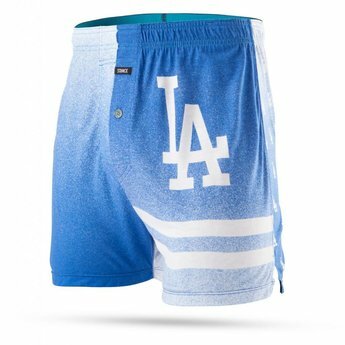 With relaxed fit button fly, 3.5 inch inseam, and our Feather-Stitch™ construction, it won't matter if you are in Dodger Stadium or on the couch, your most valuable parts will be hitting a home run in luxury.